This richly illustrated handbook offers more than 270 full-color pages of essential information on all aspects of living and working in the Netherlands such as: permits and visas, career, housing, finance, international education, fiscal and legal issues, health care, connectivity and insurances. The reader can also find more regular information on the Dutch culture and habits, tourist information, learning the Dutch language, international clubs, etc. All these subjects are approached from the perspective of both newcomers and those who have been living in the Netherlands for some time. This and the many useful addresses, phone numbers and websites make The Holland Handbook an indispensable guide for international employees (expatriates), their partners who do not have a paid or volunteer job (yet), foreign entrepreneurs, the many foreign students who have come to the Netherlands to train or study, and professionals who want to keep abreast of the latest developments in expat affairs. When my Canadian wife came to the Netherlands 3 years ago, she obtained a copy of The Holland Handbook and it proved to be of immeasurable value to her – even though I, as a Dutchman, thought I knew quite a lot about my country. 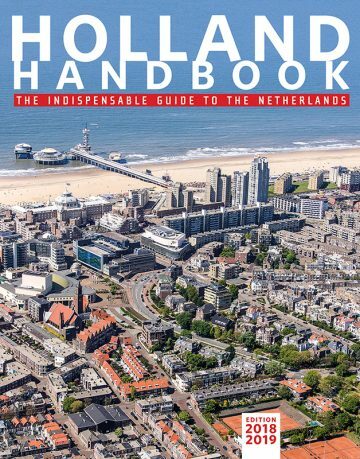 Whether you visit the Netherlands regularly or plan to stay for a few years, The Holland Handbook is an indispensable guide for every foreigner.